Remarks: Has rear intercoms; 12v power adapter. 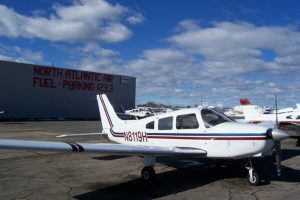 Warrior 8119H is a plane commonly used for both VFR and IFR training. It is fully IFR certified, and includes a brand new touch screen, state of the art Garmin GTN650 along with two digital VORs.